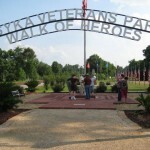 Welcome to the home of the Osyka Veterans Park and Museum. 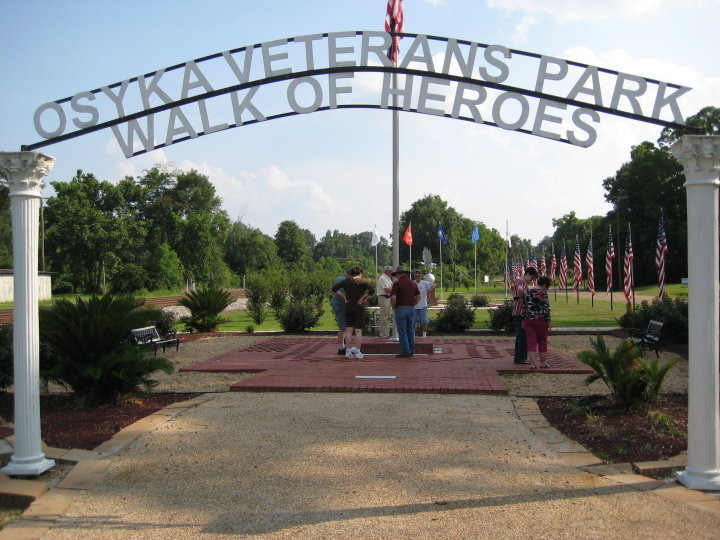 The Osyka Veterans Park was dedicated on Armed Forces Day 5/21/05. The land was donated by Anthony O. Sassone. As a primary source for leadership in patriotism and military service since World War II to the present, Osyka claims the national distinction of having produced a greater number of commissioned officers than other comparable communities. The fulfillment of aspirations to be a part of our nation’s front line defense team, the opportunity for breaking into new frontiers in air power and travel, plus the desire to experience the world beyond this sacred home site, motivated interest, involvement, and commitment to the military way of life.